Taken in mid November on an overcast day. Classic view of Manhattan in New York City. 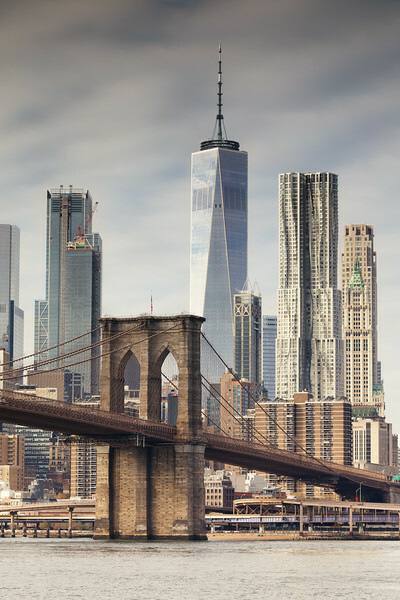 The Brooklyn Bridge and the tallest building in the western hemisphere, the One World Trade Centre. This was taken using my Canon 5D Mark IV (Wex PhotoVideo) and a Canon EF 70-200mm f2.8 L IS II USM Lens (Wex PhotoVideo).